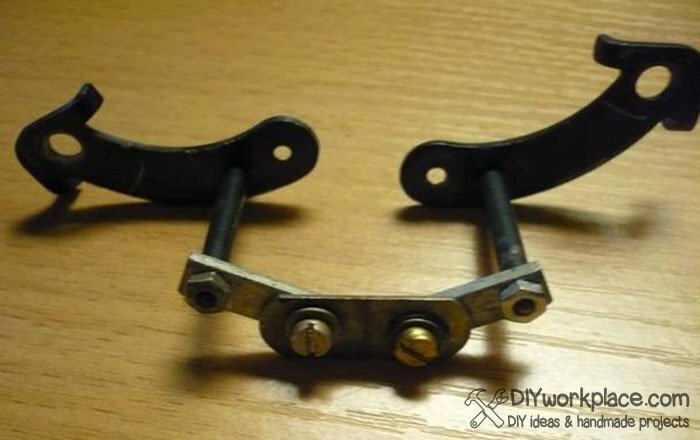 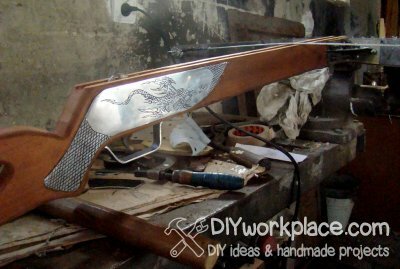 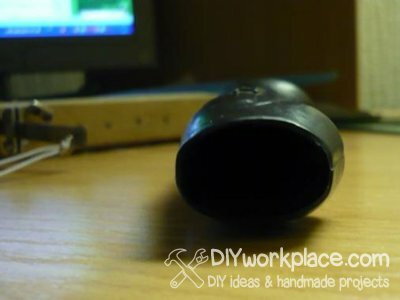 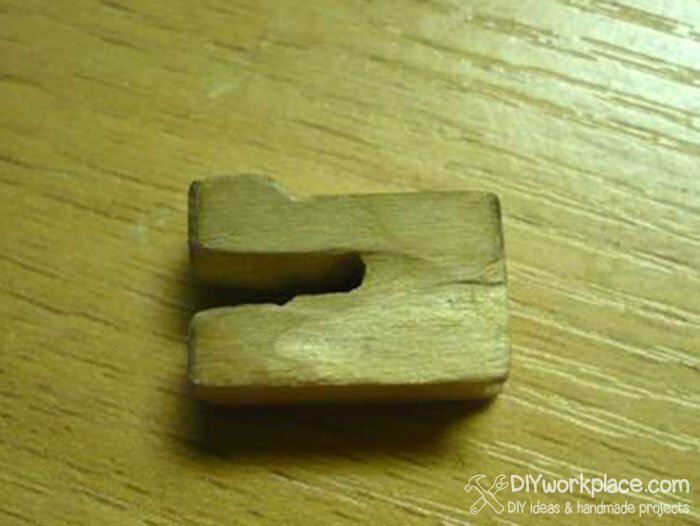 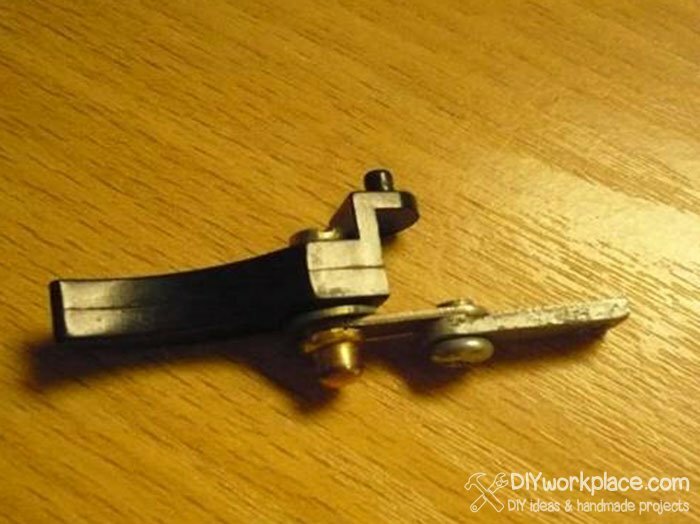 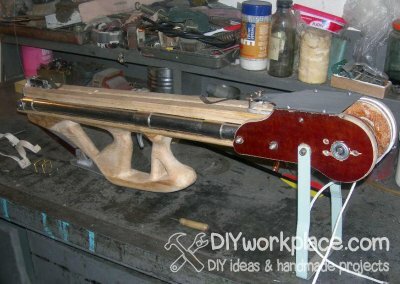 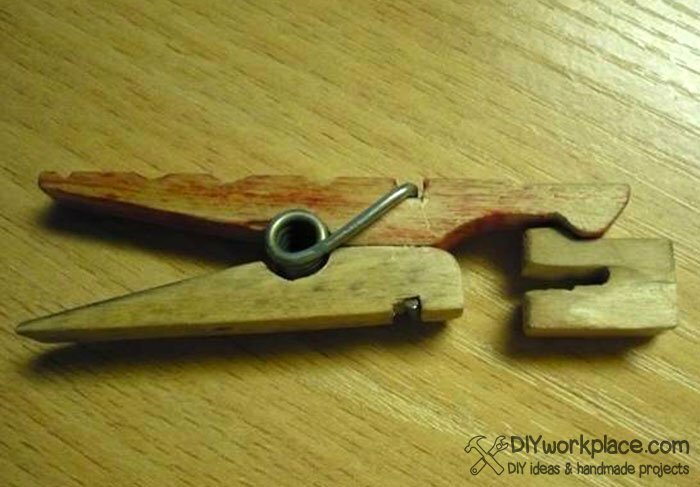 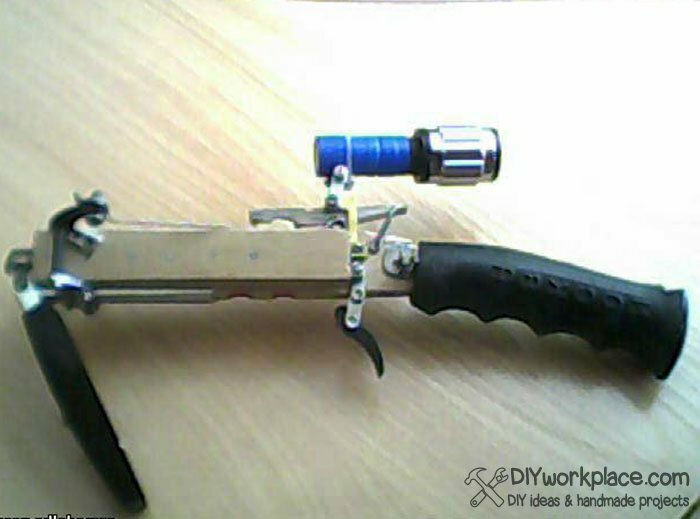 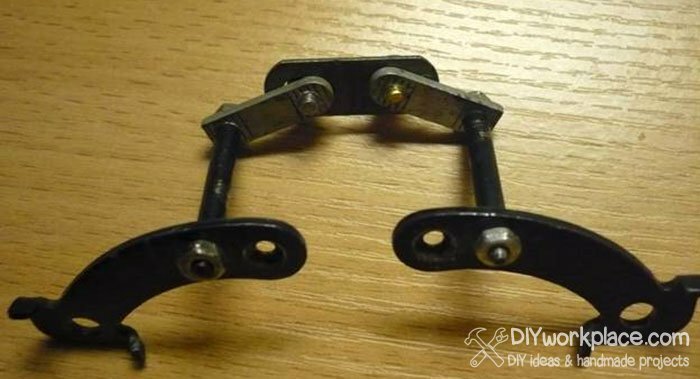 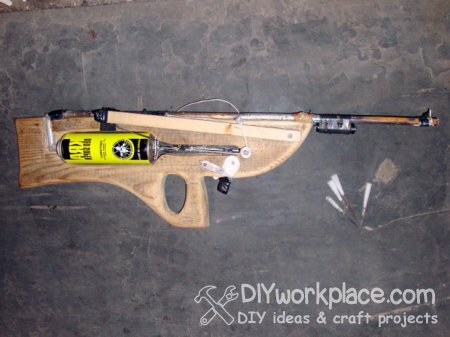 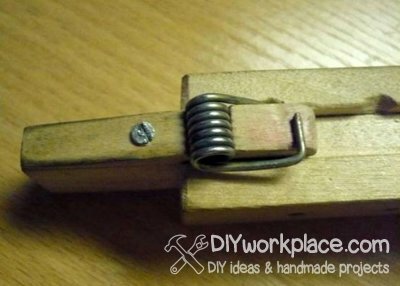 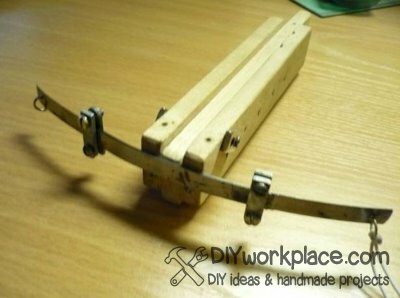 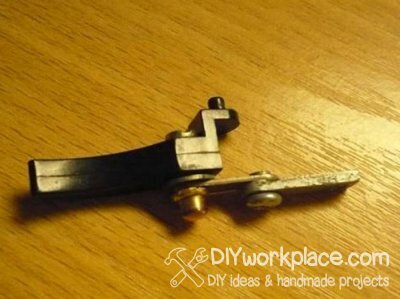 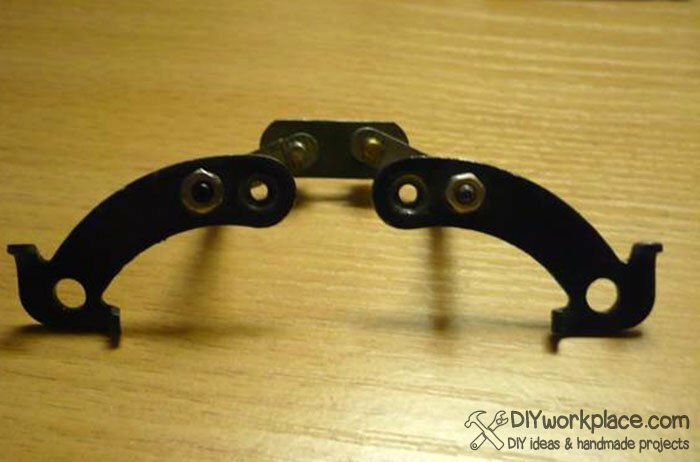 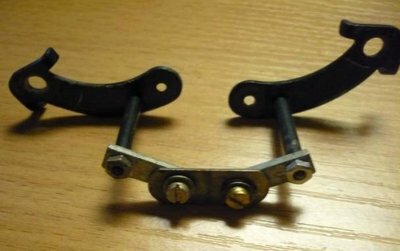 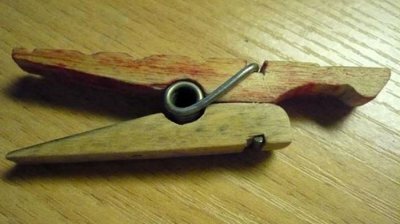 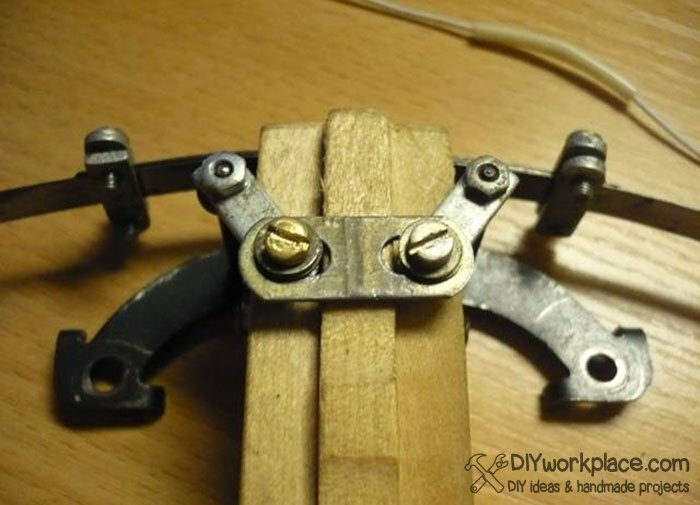 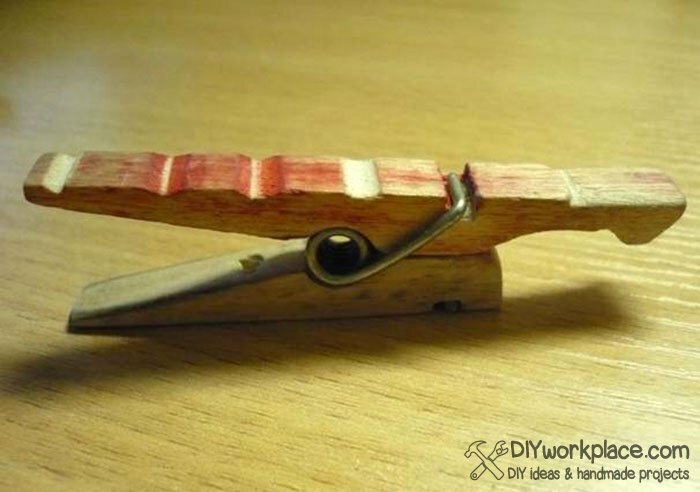 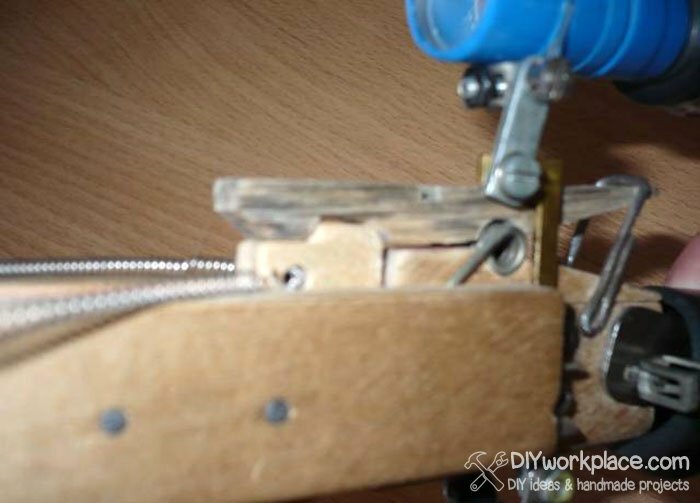 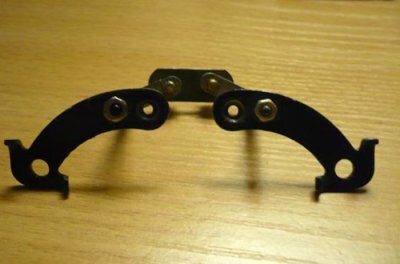 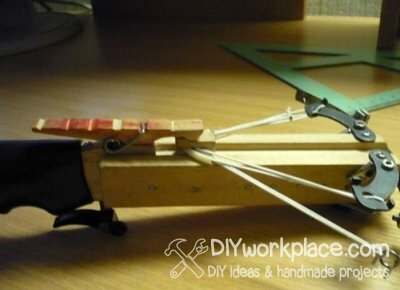 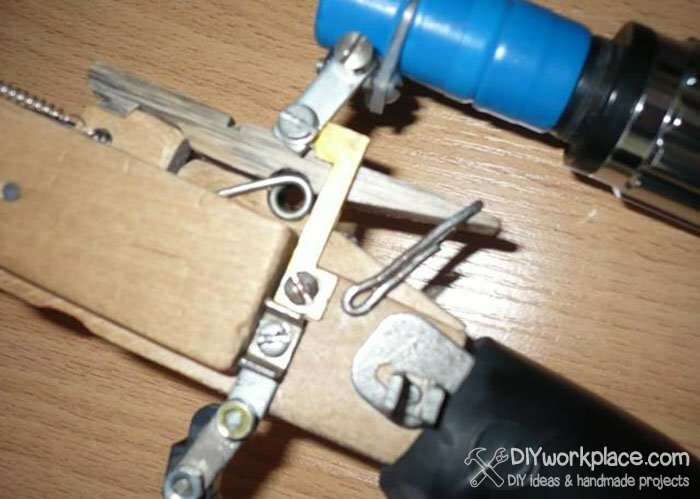 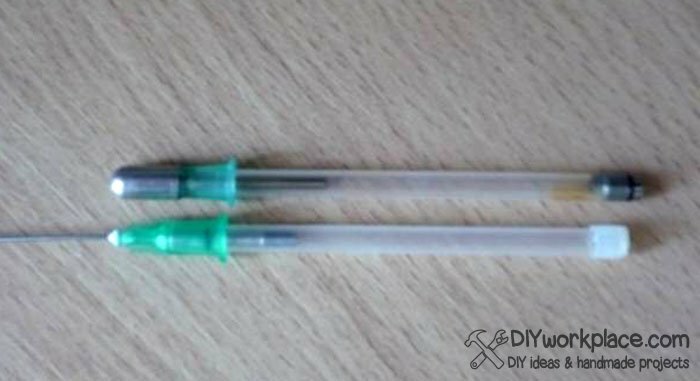 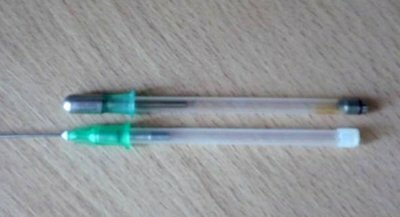 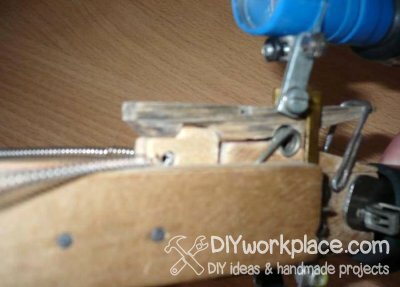 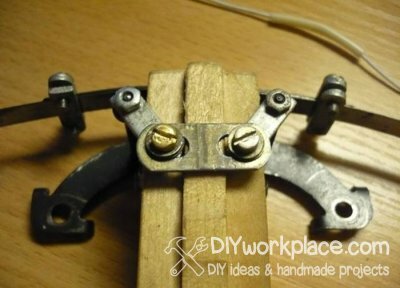 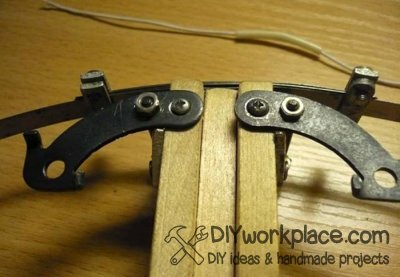 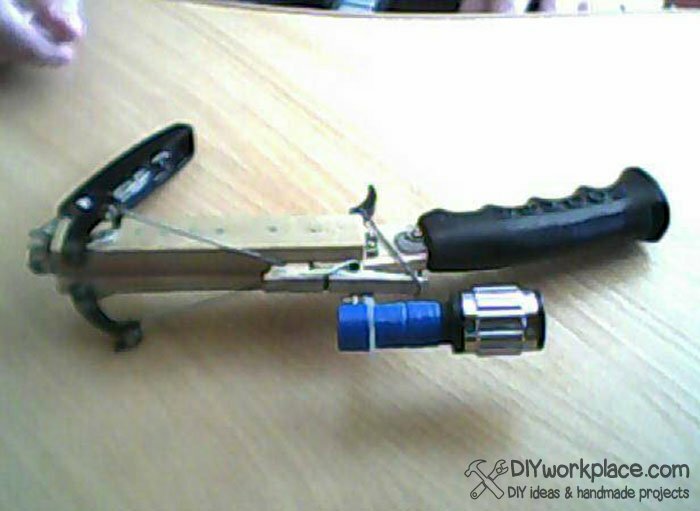 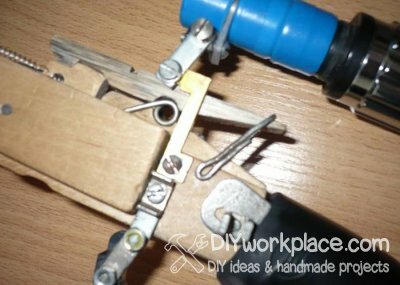 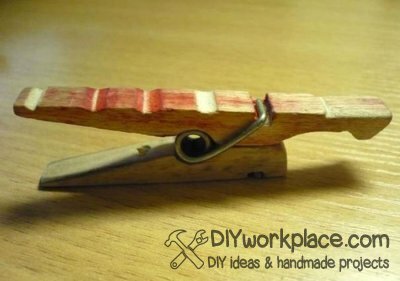 In this topic is described how to make a mini crossbow. 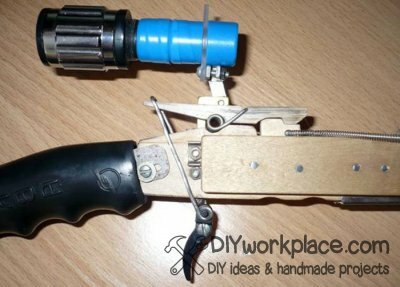 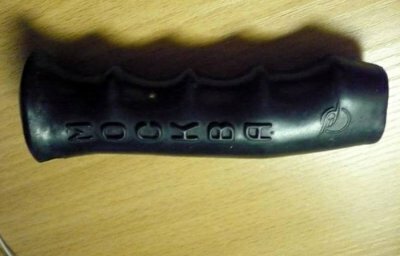 It is not very powerful, because the string is made of rubber, making a handmade mini crossbow the great shooting toy for a child. 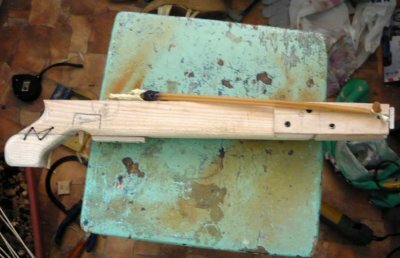 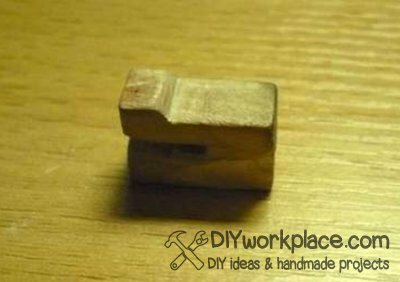 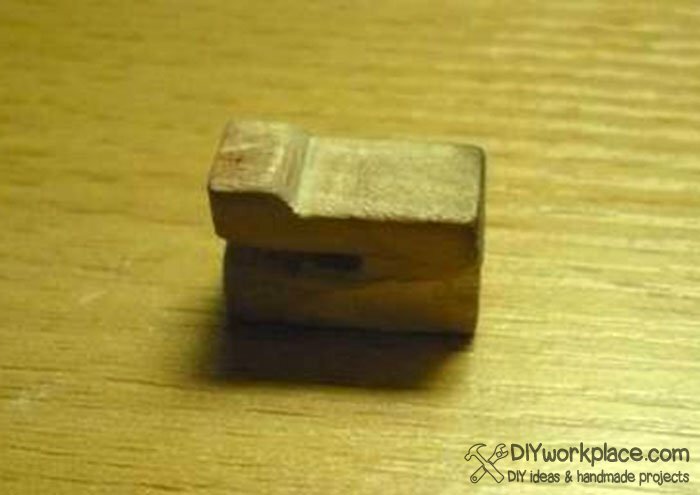 Body of handmade mini crossboy is made of three planks, fixed with nails. 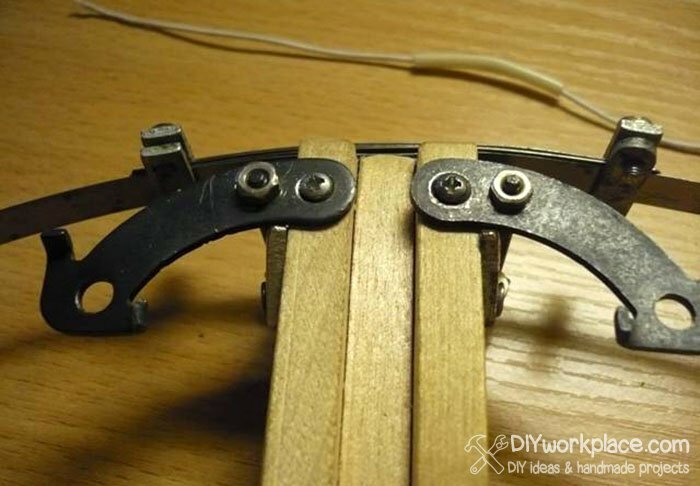 Bow is made of steel strips, they fastened to body with screws. 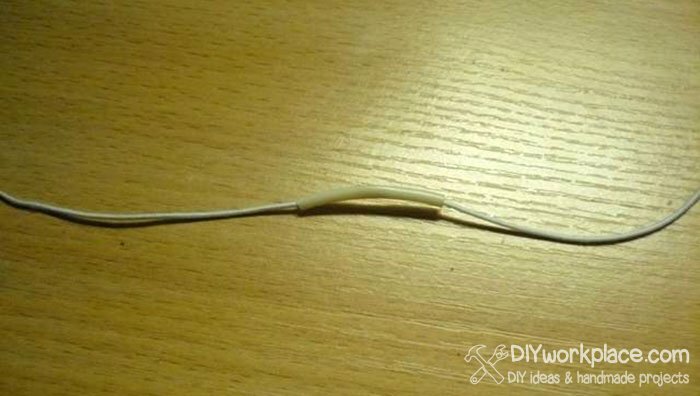 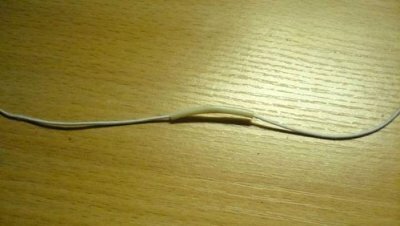 Mini crossbow's bow will not bend, because bowstring is a rubber band. 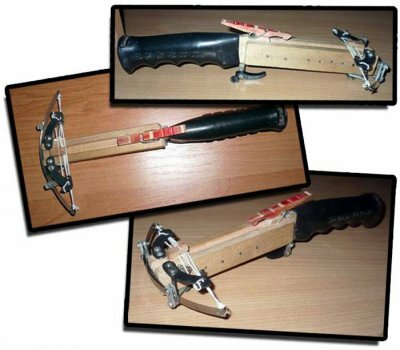 By contrast, I suggest to watch the video about the world's most powerful crossbow and its fight with the armor. 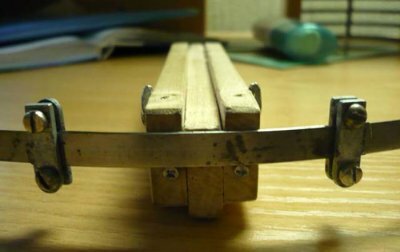 Will it break? Power is not enough to cause harm, but it allows the use of very simple trigger. 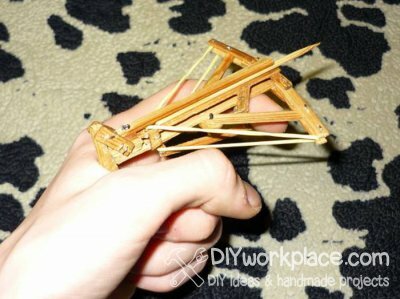 In other words, this mini crossbow is a great shooting toy for kids!